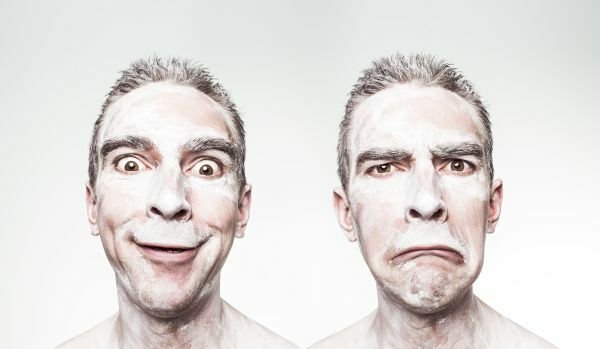 What Comes Easier to Write About – Happiness or Misery? “Happy families are all alike; every unhappy family is unhappy in its own way.” That’s what Leo Tolstoy, one of the greatest writers of all time, tells us at the beginning of “Anna Karenina.” But is it true? Does happiness lack suspense, desire, nuances? Is happiness indeed so uniform, so boring that it’s not worthwhile exploring by writers? In the eyes who only seek beauty, happiness is as diverse as unhappiness. Ordinary things turn extraordinary. Ordinary gestures bring tears of joy. A bustling home, full of children, watching your two daughters grow into fine ladies, waking up next to the loved one dumbstruck at your luck of meeting them, tending your garden on a bright sunny day, they all become singular events, visions of happiness we will never experience in quite the same way. This happiness is granular and as contagious as smallpox. Each ordinary, but happy event touches and changes our entire world. Like the desert that, for a few days a year, turns green when kissed by the rain, one happy event is enough for our lives to suddenly gain meaning like never before. And, while our feet might still be stuck in the mud of our daily chores, we’ll feel as if we are walking on clouds, temporarily removed from any pain or suffering. Later on, writing about the happiness we experienced in such moments, brings it all back. As memories become more vivid, the old us fades away and a different us, more peaceful, more insightful, more joyful emerges from the darkness. With each word, our mind becomes a blur with possibilities, hopes, dreams, each more daring than the next. Our characters start reminding us that this life is nothing but a circus and each of us is nothing but a clown waiting to come out and start to play. Writing about happy events that we’ve lived or wish we would have lived rewires our brains. We start focusing on the seed of light, rather than on the seed of darkness. In the end, writing happy books turns into a selfish and empowering act. It teaches us that while it’s easy in our modern era to succumb to depression, get into that downward spiral and write about it as if it’s the only truth, we also have a choice. More than a choice, we have a responsibility. A responsibility to explore the beauty of this world, not its ugliness, the acts of generosity and kindness not the selfishness, the miracles, not only the catastrophes. As the old Chinese proverb reminds us: we cannot prevent the birds of sadness from flying over our heads but we must not let them build a nest in our hair. Writing happy characters, offering happy endings, it’s ultimately not living in denial, it’s not pretending we never spent darksome hours weeping, enduring what is distasteful. Writing happy characters, happy endings, it’s a manifesto, a conscious choice to focus on beauty.